These are aspects of the stadium experience that are available to everyone. Now, thanks to sports stadium and arena captioning, things like public address announcements or half-time ceremonies may also be enjoyed by the Deaf and Hard-of-Hearing community at sporting events across the country. From the University of Arizona’s Sun Devil Stadium to the Washington Redskins’ FedExField, more and more sports stadiums and arenas are offering captions to their fans. 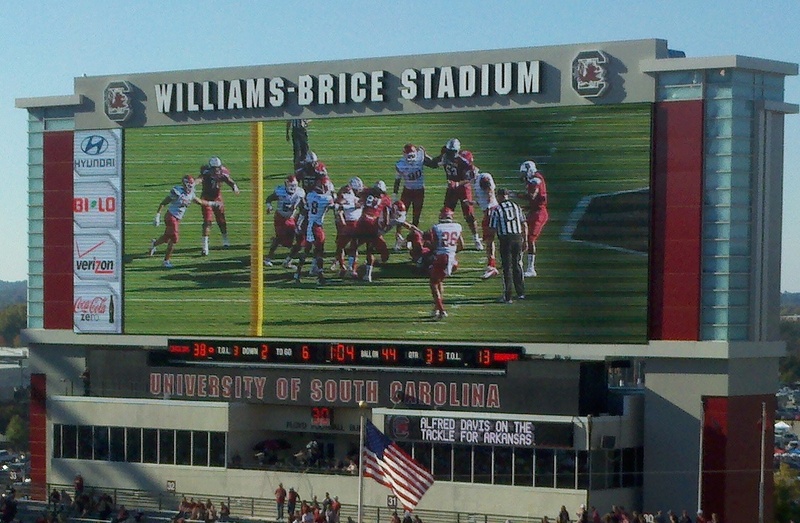 In 2012, the University of South Carolina began captioning Gamecock football at Williams-Brice Stadium. A ribbon board below the “Beast Board” positioned on the right-hand side displays captions of the pregame show, the halftime show, announcers’ play-by-play, sponsors’ ads, and officials’ calls. CompuScripts Captioning is proud to be the captioning service provider for the Gamecocks. Sports stadiums and arenas that do not offer caption services are finding themselves under increased pressure to do so by advocacy groups such as the National Association of the Deaf. In September, NAD lawyers filed suit against the University of Maryland and several of its officials, citing “…a failure to provide captioning of announcements and commentary made over the public address systems during athletic events at Byrd Stadium and the Comcast Center.” The suit was filed on behalf of two Deaf fans who regularly attend University of Maryland sporting events. In 2010, pressure from the NAD was instrumental in Ohio State University’s agreement to provide captioning at its football and basketball games.